Most of the time, when you purchase a new carpet in the US, you can expect a product that will last many years. However, sometimes there are problems. And when there are problems, such as excessive wear in a short amount of time, you’ll want to check to see if that problem is covered by the carpet’s warranty. 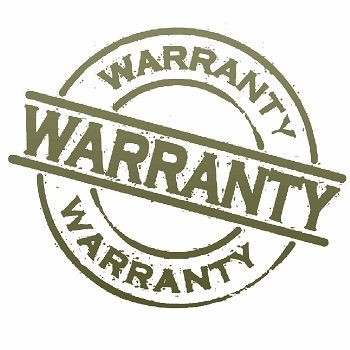 Like other warranties and “legalease”, reading a carpet warranty isn’t especially fun, and it may also be surprising. For instance, you may be surprised to learn that manufacturers define “wear” as “the loss of pile weight or pile fiber (usually 10 percent).” Your carpet’s chance of losing that much carpet fiber is rare, so while the carpet may look worn and matted down, the manufacturer’s warranty will probably state it is not responsible for this condition. • Stain and Spot Warranty: In the carpet industry, “stain” and “spot” have very specific definitions. A stain is something that actually changes the color of the carpet. A spot, on the other hand, is residue that has collected on carpet fibers. Many manufacturers produce carpets with stain and spot protection. A stain and spot warranty covers against stains/spots that appear and cannot be removed using professional spotting procedures. If you have a carpet that becomes stained or spotted that cannot be remedied by a professional, and the carpet does have this warranty, the manufacturer may replace the carpet in the problem area. However, you can probably bet that there is a list of exclusions that are not covered under the warranty. Check to see if your carpet has exclusions in the warranty. • Warranty for Texture Retention or Appearance Retention: All purchasers should look for this protection. This means that for a specified amount of time after the original purchase, the carpet should keep its texture in the areas of ordinary foot traffic. Texture of appearance retention refers to the ability of the carpet fibers to retain their visible shapes, and this is measured by using an international standardized rating scale ranging from 5.0 (new or no change) to 1.0 (severe change). Abnormal loss of texture retention is typically defined as a rating of less than 2.5. The longer the texture warranty, the more confidence the manufacturer has in their product and the more likely it will perform well in an office-type environment. • Fade Resistance Warranty: If you’ve ever seen the perfect silhouette of a sofa when you’ve moved it off an older carpet in a sunny room, you’ve seen carpet fading. Some carpets and rugs may fade over time due to excessive sunlight or pollutants in the air that impact the dyes used on carpet fibers. If the carpet selected has a fade resistance clause, this means it should retain its color under most normal conditions. Many leading carpet manufacturers now require their carpets to be cleaned in a certain way in order to maintain their warranty, and they may also have requirements on who cleans their carpets. Many now require their products to be cleaned using carpet extractors with built-in heating systems and even require the technicians cleaning the carpet to be Institute of Inspection, Cleaning and Restoration Certification (IICRC) certified. These technicians have completed a number of training programs designed to teach them best practices when it comes to cleaning and caring for carpet. When you’re considering a new carpet, be sure to review carpet warranties before making a selection. If you’ve already purchased a carpet, make sure you consider WHO is cleaning your carpet and if the company is qualified to clean your carpet to keep the warranty in effect. If you’re unsure, ask the retailer or give us a call! We’ll be happy to help.